Marvel Cosmetic surgery offers a full range of solutions for Sinus & Snoring related issues. We offer a wide variety of non-surgical treatments and minimally invasive procedures. With more than 20 years of experience and a state of the art facility, Dr.Jeffrey Marvel and his staff work to provide individualized care plans for each patient, allowing us to cater to your specific needs. Unlike other clinics, we do NOT require you to go to a sleep lab for a traditional sleep study. Instead, we offer Home Sleep Testing devices that allow us to accurately evaluate your sleep, all from the comfort of your own bed. As a recognized leader in Middle Tennessee for Sinus and Snoring solutions, Marvel Cosmetic Surgery is committed to the highest level of patient care. Over the years we have helped thousands of patients find relief through our minimally invasive in-office procedures. One in four Americans suffers from chronic snoring. 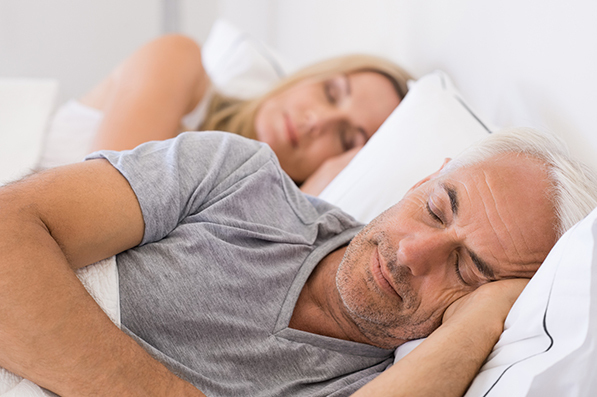 Snoring not only disrupts your lifestyle and sleep quality, it may also be a sign of a significant health risk. We offer a variety of minimally invasive procedures to help resolve your snoring issues. Unlike other clinics, we do NOT require you to go to a sleep lab for a traditional sleep study. Instead, we offer Home Sleep Testing devices that allow us to accurately evaluate your sleep, all from the comfort of your own bed. More than 29.4 million Americans struggle with chronic sinusitis. 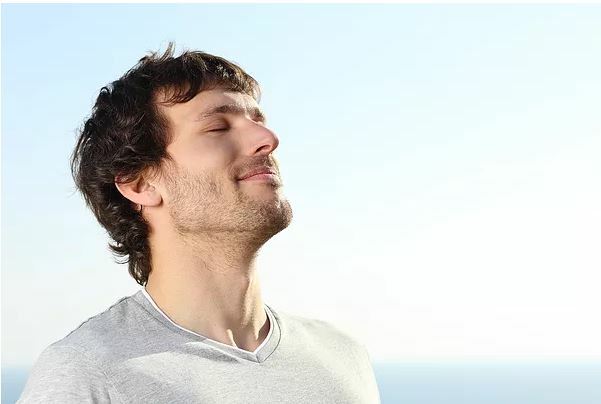 Our minimally invasive procedures are ideal for patients that suffer from recurring sinus infections, chronic congestion and nasal allergies, and chronic sinus pressure. Balloon sinuplasty is a quick and simple endoscopic procedure that opens and reshapes sinus passages without removing tissue or bone. 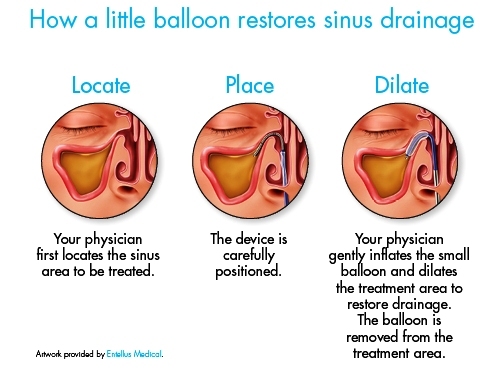 Sinuplasty operates by enlarging sinus passages with a balloon to open up drainage pathways. The balloon is filled with saline and fitted onto a small catheter which is inserted into the opening of the problem sinus. Once the balloon is inside, it is dilated for about 5-10 seconds. This enlarges the sinus opening up to six times its normal size, allowing it to drain and ventilate freely. Endoscopic Septoplasty is a minimally invasive technique for the correction of septal deviation. An endoscope is inserted into the nose to provide a visual aspect of the nasal passage. A small incision is made into the area of the deviation to separate the mucosa and to readjust any cartilage, bone, or spur that is causing issues. Once the blockage has been repaired, the mucosa is replaced. This procedure is performed under local or general anesthesia. Swollen turbinates, found inside the nose, can cause pressure, congestion, and breathing difficulty. This quick, painless, office-based procedure shrinks the turbinates and provides years of relief from congestion, pressure, and drainage issues as well as treatment for snoring and sleep apnea. Soft Palate Tightening or UPPP (short for Uvulopalatopharyngoplasty) treats snoring issues related to abnormal mouth anatomy by removing/repositioning excess tissue from the soft palate, as well as shortening the uvula. While every procedure is different, each involves a combination of tissue removal and tightening performed under brief sedation in office.